Size of this preview: 800 × 533 pixels. Other resolutions: 320 × 213 pixels | 640 × 427 pixels | 1,024 × 683 pixels | 1,280 × 853 pixels | 5,341 × 3,561 pixels. 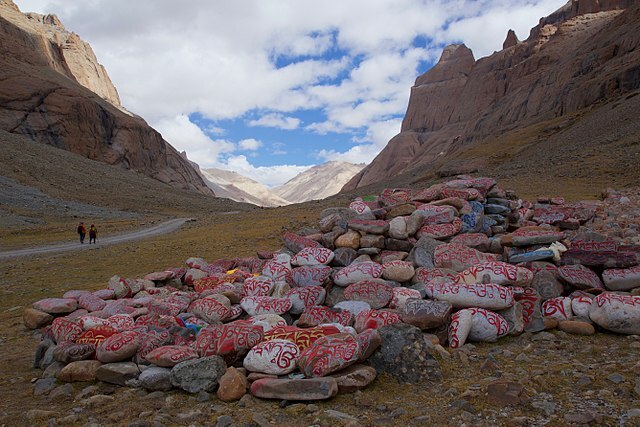 English: Mani stones on the Kailash kora. This file has an extracted image: File:KailashMani (banner).jpg.